Recently there was a complete solar eclipse, which was not visible to Indians, yet all the pregnant ladies must have got a list of their dos and don'ts regarding eclipse. 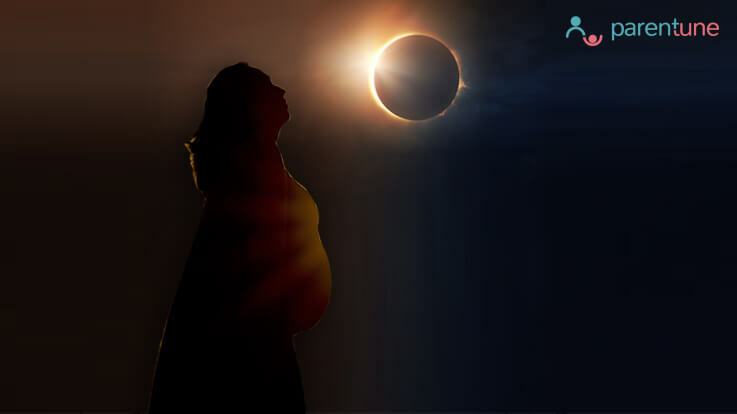 And this year while I had already given birth to my baby, I was reminded of the time when I was in the last leg of my pregnancy and there was a solar eclipse. Yeah yeah, people say that most awesome time of any women, is when they get pregnant, you have life in your body, giving you company all the time. And this is a time when you will have your husband doing everything thing for you ,provided you demand for it. Its completely not true for the women you are working and have pseudo ego of being self reliant and who have never asked for many favours in life , yes I was one of them. I was stupid and dumb to have not taken advantage of my husband and my extended joint family including my mother in law, co sister, their respective husbands and their daughters, with all of whom I still stay. We hate and love each other simultaneously. I wanted to be so self reliant that I never wanted them to cook anything special for me! Not even once during my all nine months, yes I did finish my nine months successfully! I am harping on the fact that I finished nine months fully is because my whole extended family wanted me to deliver my child as early as possible, probably in the first month!! Please don't take this seriously. They were just too excited to welcome a new member in the house and extend the extended family a little more. It's after 18 years our family had got the chance to welcome new person. Their enthusiasm was little too overwhelming though, as they suggested mildly to get a C section done after I crossed 36th week. They had become restless and could not wait. I am mother I am excited too, but I wanted my child when the time was right. Not early not late. And, I adhered to that; I did not succumb to any overwhelming pressure. Then came an eclipse probably the third one in my 9 month pregnancy. It is, very funny, incredible and nothing proven scientifically but there are some dangerous believes we Indians have. I got call from the frantic, superstitious aunties who in their whole life have never ever called me, instructing me to observe precautions and not do certain things. The list of these certain things is farthest from any prudent thought, one can have. If not followed during solar or lunar eclipses it would have harmed me and my child. The list of few things I was told to do and follow is given below. Read them with precaution as you would start believing it though my objective here is to just entertain! In short it was total eclipse of my pregnancy! Every year, lunar or solar eclipses do happen. But if you are pregnant, it can harm you more than the normal people. I never quite understood, whether pregnant women carry any special energy around them. Or do eclipses have special power to judge human beings. Oh she is pregnant I will harm her; oh she is women I will harm her less and this is unborn child I can harm even more. Only Indian pregnant women will get affected by eclipses and no one else on this planet. Somebody should do research on this. I did bow down to the pressure and I did stay home, and did exactly what was told to me, though with no personal faith but to please everyone around me and would not lie there was little fear already inculcated in me. 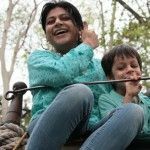 It is still believed by lot of people in India that if you do anything prescribed above, your baby might become handicapped or disabled and probability of miscarriage is increased. If you stitch cloth your child may have cleft lip. It is funny and there is no scientific explanation to all these. And there is no proven fact that it can actually harm. Seeing solar eclipse with naked eyes can harm your eyes irrespective of you being pregnant or not pregnant. Since time immemorial humans have also given birth and been pregnant along with other species during the time when there happened to be an eclipse. So it is improbable that an eclipse can cause a direct negative impact on a pregnant woman. There are many who are born with disability and cleft lip in-spite of following everything. Since there is no scientific explanation and eclipses do not have special power to differentiate, between different human beings, I left to individual discretion to follow and do what you want. Safest is to take medical advice. Did you also face issues like these when eclipse happened while you were pregnant? Please do share your views and feedback in the comments section below, as we would love to hear from you. High Frequency of Cleaning pregnancy. What all vaccines are required during entire pregn..
Hi, I'm in third trimester pregnancy. kindly sugge..